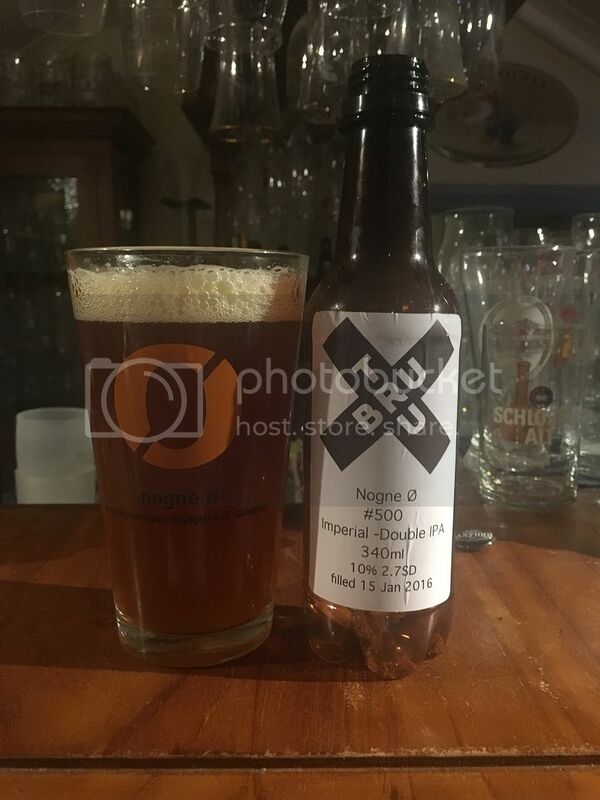 Nøgne Ø are one of my favourite brewers in the world. These guys make consistently brilliant stuff with #500, initially brewed to mark their 500th brew, no exception. It's got to be at least 3 or 4 years since I last had one of these so am very pumped to get to try it again! #500 is a really big Imperial IPA. The numbers are significant with this beer comprising 5 malts, 5 hops, 10% ABV and 100 IBU's. 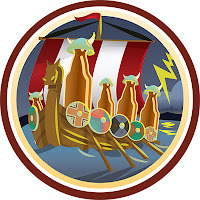 It's a fittingly large beer to unlock Here Come the Vikings (Level 2), the badge for drinking Norwegian beers. I can't wait to try this beer again, so let's get into it! Firstly apologies for the iPhone photo again, I thought those days were behind us... The beer pours a deep orange, almost amber colour which is quite cloudy. The head is cream coloured and relatively small, maybe two fingers high at it's peak. The head is comprised of quite large air bubbles and accordingly dissipates quite quickly. It's certainly not a typical looking Imperial IPA, but it is nonetheless enticing. Onto the nose and it's similarly intriguing. Unlike most IPA's it is not hops that dominate the nose, it's malt. It's a big, sweet smelling beer with caramel and bready notes both evident. There are plenty of hops there as well with citrus, particularly orange and grapefruit, the most prominent. My first sip brought memories flooding back. Nøgne Ø's #500 tastes exactly like it smells; caramel malts dominate at first, diluting some of the bitterness of the hops but, thankfully, not limiting the punchy citrus notes. There's almost no sign of the 10% ABV other than quite a thick body. If you can't guess I thought this was an absolutely cracking beer! It's too big to drink consistently, but even 4+ years later I still remembered it vividly. Everything from Nøgne Ø is sensational and #500 is no exception. They are certainly not the cheapest beers going around, but they are truly worth it. If you're an IPA lover try and track down a bottle of #500, you won't be disappointed!